I've worked with alcohol ink to create unique DIY projects, from metal necklaces to glass candleholders! 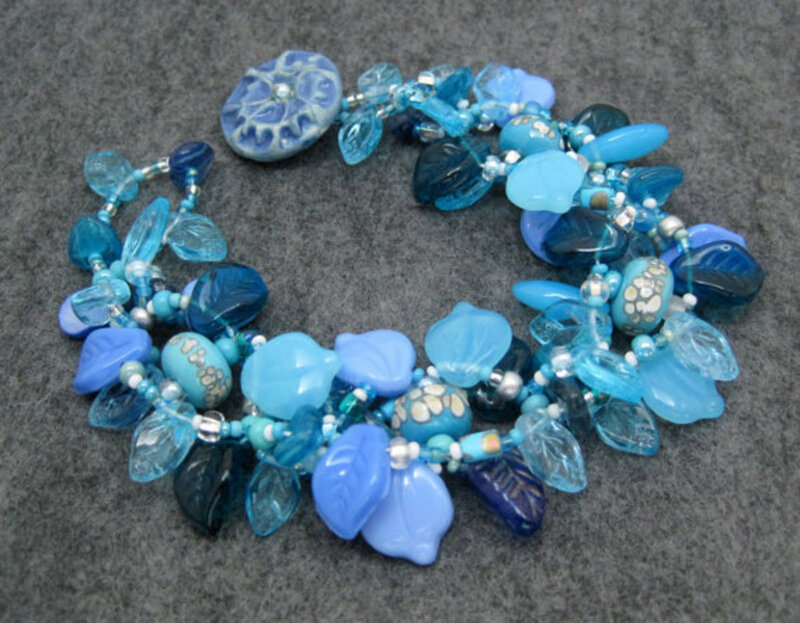 Make Beautiful Jewelry With Alcohol Ink! Using alcohol ink on metal is very easy, and I'm going to share a fun jewelry project using this technique. You only need a few supplies, which is nice. Look at the picture closely. Can you tell what I used to make this work of art? You'll need to visit the hardware store. Yes, the hardware store! Oh, now I have you thinking. They are stainless steel washers. Metal washers are inexpensive and look great when covered in ink. It's fun to play with different color combinations, and I hope you enjoy trying this technique. Alcohol inks come in many beautiful colors: brights, pastels, classics, metallics, and pearl. They're mainly used on non-porous surfaces like glass, metal, and glossy paper. I owned them for many years, but I had only used it on glossy paper to make greeting cards. 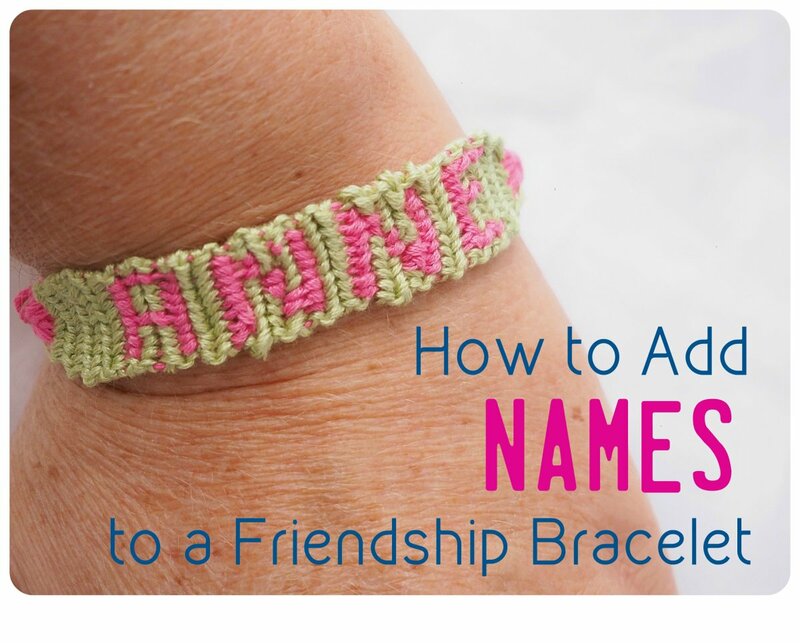 I started researching and experimenting to come up with other projects I could do with them. 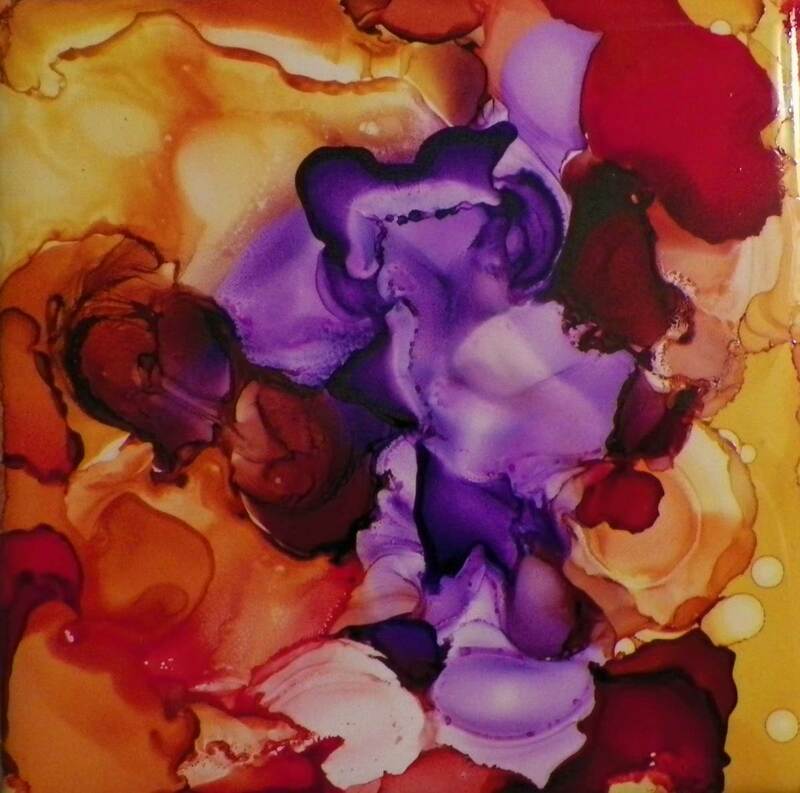 Alcohol inks typically come in packs of three coordinating colors. There are tons of color combinations to choose from. For this project, I prefer using bright colors. Once you learn how to use it on metal, you'll probably want to add more colors to your collection. 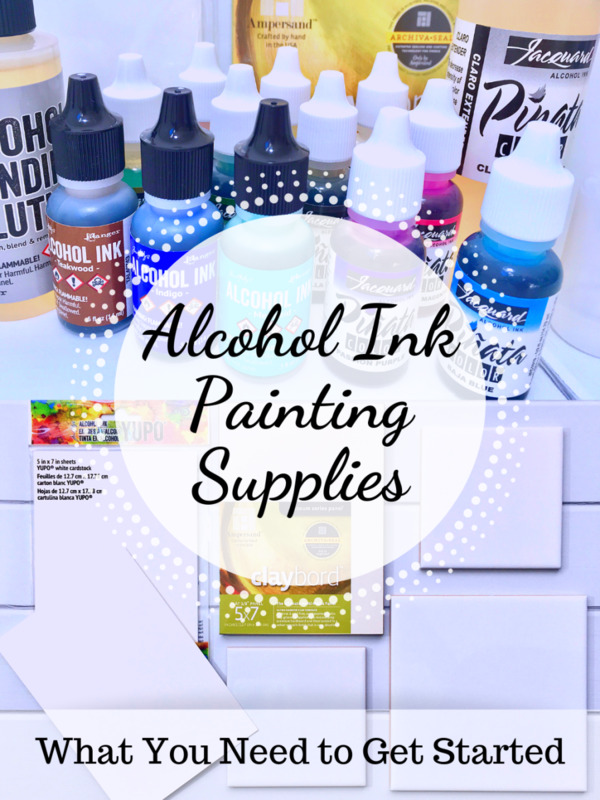 Alcohol Inks: You'll need a variety of colors for this project. 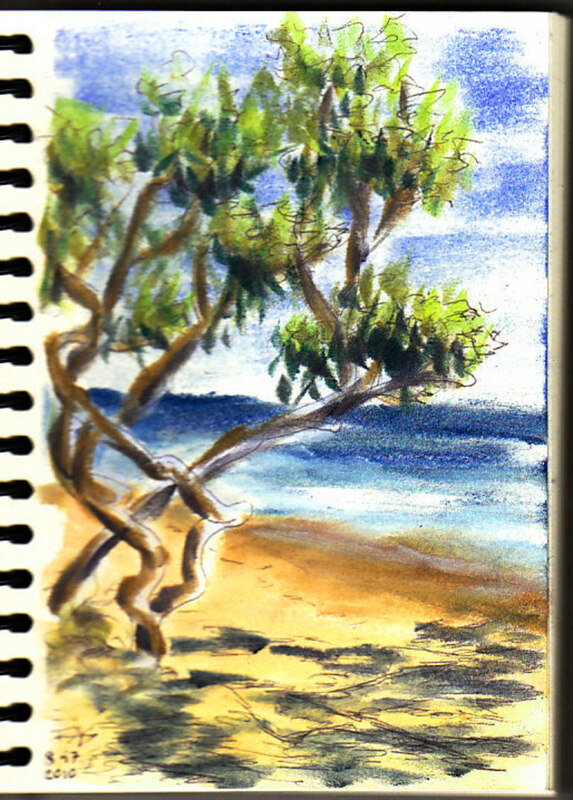 I started with 12 colors, which I originally thought was plenty. I soon discovered it would be fun to add more pinks and blues, so I added nine new colors to my collection! The more colors, the more fun! Alcohol Ink Applicator and Cotton Pads: If you buy the applicator, you'll notice it has velcro on the bottom so that cotton pads can stick. You could also buy refills of the pads. The applicator is perfect for applying ink to metal washers or projects. Metal Washers: You'll need various sizes, but you do not need to buy expensive washers. Stainless steel ones work great and range in price from 10¢ to 45¢ each, depending on the size. When choosing sizes, remember to consider the weight. Some people do not care for heavy necklaces, and the larger washers can be a little heavy. 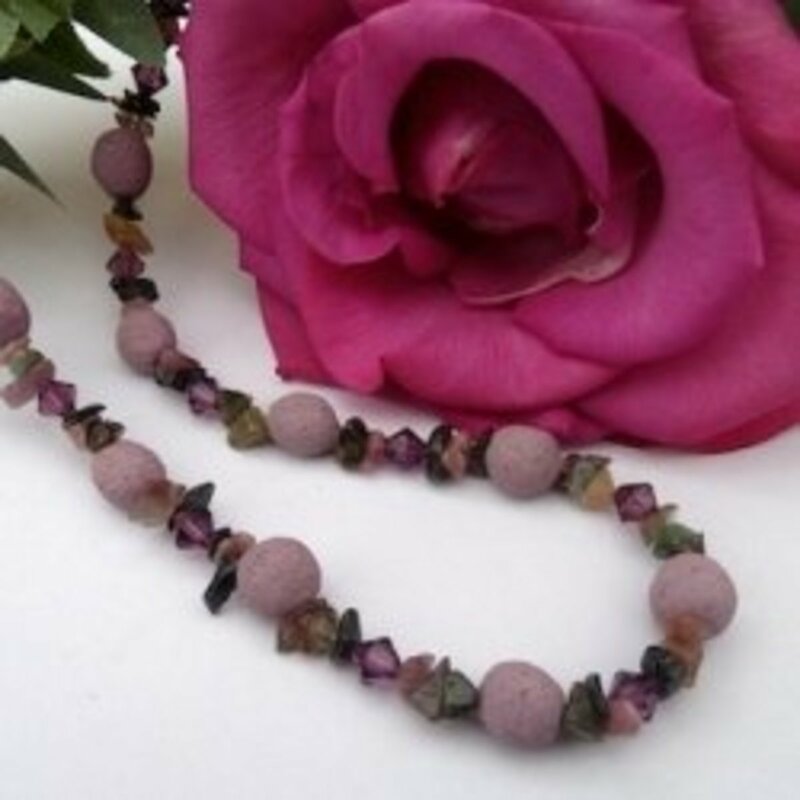 Jewelry Cording/Clasped Cording: This comes in a variety of colors and materials. You can purchase it in a roll and cut it to the length you want and knot it. 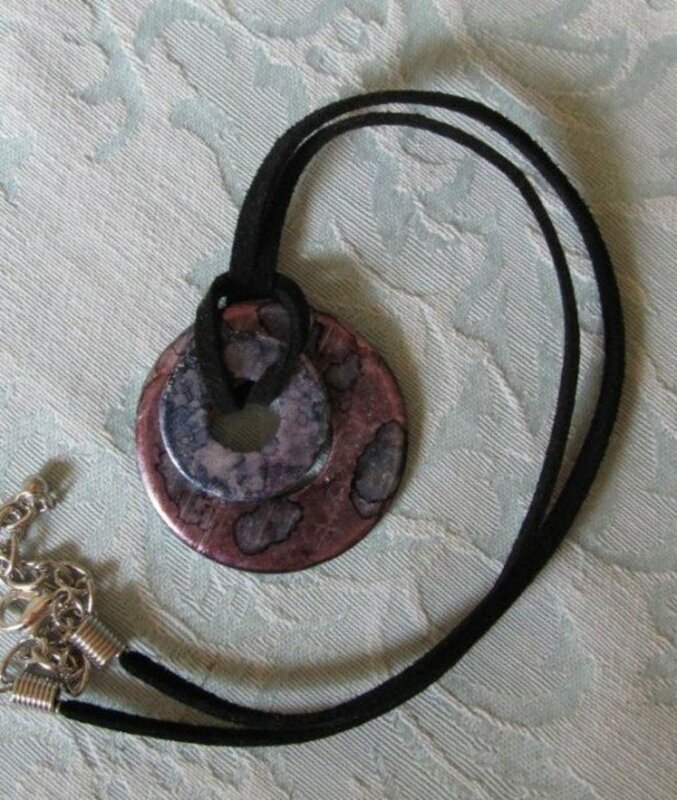 You can also purchase it with a clasp, which is what I chose because I like the finished look. I used a velvet cord, but it also comes in leather, suede, and nylon. 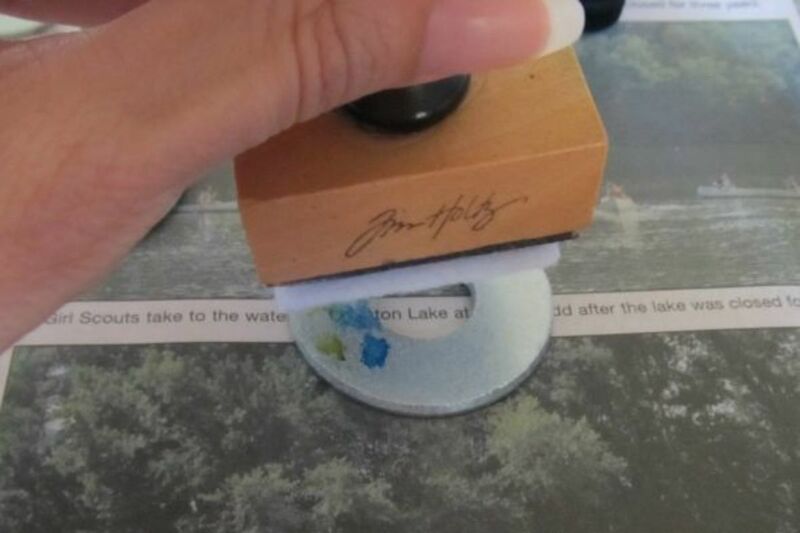 Sealer: You will need to seal the alcohol ink with a sealer. Krylon and Rustoleum make spray acrylic sealers in a glossy finish, which looks nice and is easy to use. I suggest applying at least three light coats and waiting 15-20 minutes between coats. Another option is using a product like Crystal Effects to give the washers a high-gloss epoxy look. Rubbing Alcohol: You'll need rubbing alcohol to clean up any messes. It will also take the ink off your hands. Some people wear gloves, but I find it difficult to work while wearing gloves. 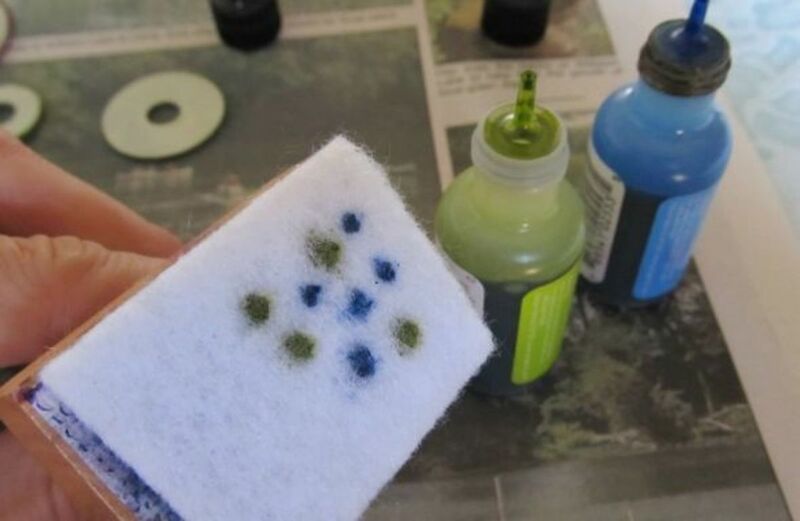 Alcohol ink can be messy, so wear old clothes and cover your work area before starting any projects. If you get somewhere you don't want it, clean it up with rubbing alcohol. Add dots of the alcohol inks to the cotton applicator. You do not have to squeeze the bottles very hard to get the ink to come out. It is very thin and will come out when you touch the tip of the bottle to the cotton. Add as many colors as you want. Dab the applicator to the metal washer in a random pattern. You'll see the colors begin to blend. Each time you dab, you will see a new pattern form. Dab until you end up with a pattern that you like. This is the finished metal washer after applying alcohol ink. This is how the washer looked when I finished applying the ink. Each time you dab, you create a different pattern. You can also put alcohol in a small spray bottle, spritz it on the washer, and then dab the ink to create a different texture. 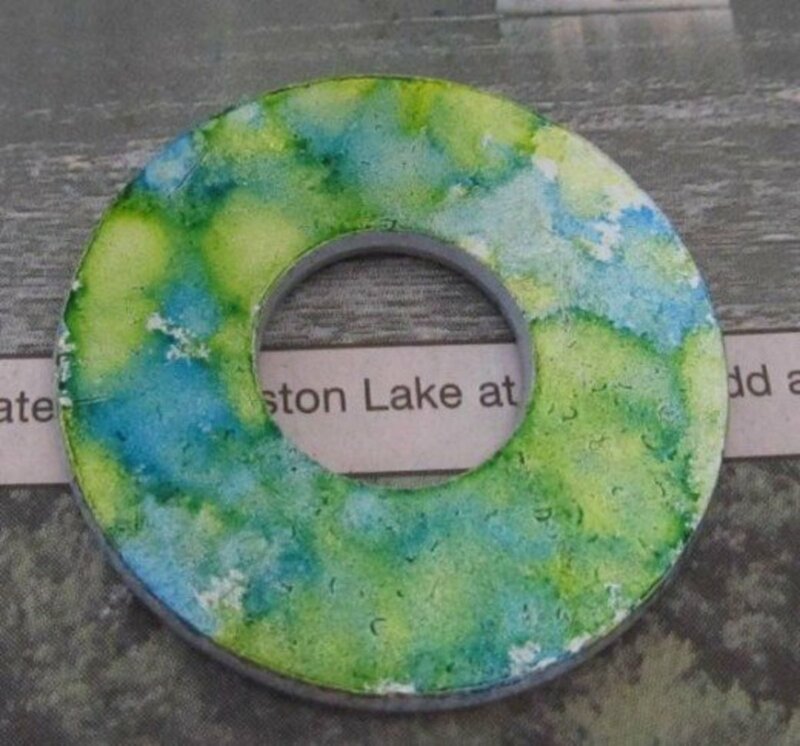 On some of the washers, I dabbed a base coat of alcohol ink with a solid color and then applied another color directly on the washer to create dots. Seal the alcohol ink. Crystal Lacquer is a great product to use to seal finished washers and other alcohol ink and metal projects. It gives your project a high gloss finish. If you prefer an acrylic spray, Rustoleum and Krylon make them in glossy and matte finishes. More Finished Metal Washers - Ready for Alcohol Ink Projects! 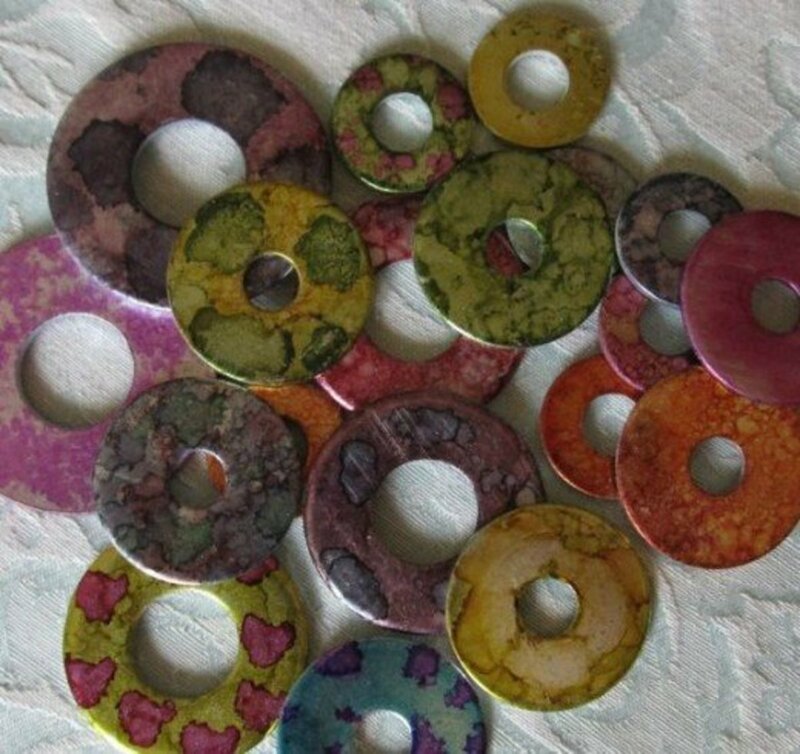 Here is a group of washers ready to string onto cords for necklaces or other alcohol ink projects. I used a variety of color combinations and patterns. My daughter thought that hanging three washers in a row would make great earrings, but they were too heavy. I thought these might also make nice windchimes if they were strung on monofilament. If you can think of other projects using these washers, I'd love to hear your ideas! 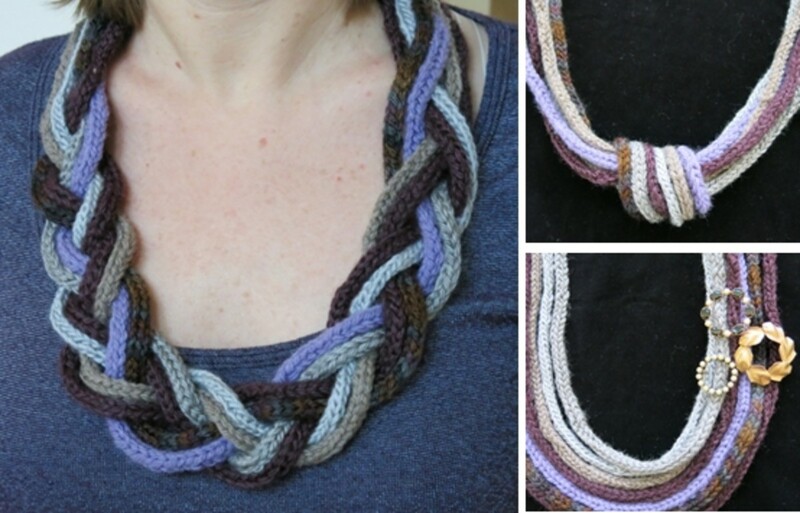 You can choose to use one or two washers for your necklace. I tried using three washers once, but it ended up being quite heavy. Make a slipknot through the holes of two washers to string your necklace. Enjoy your new piece of jewelry! Do you enjoy doing arts and crafts? YES! What kind do you enjoy? No, I'm not very crafty. How do you like the looks of these Alcohol Ink on Metal necklaces? 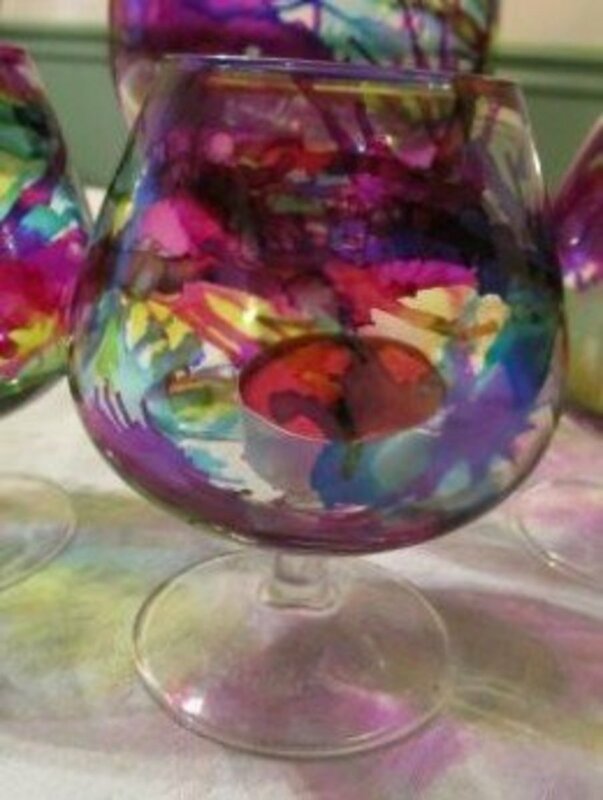 What brand of alcohol inks did you use to make these? What brand would you recommend? I think it's very cool, I'm going to try to do this. Great idea. This will be my next project! This is a neat craft and your examples are quite nice. I'm interested because these would make neat closures or embellishments for some of the bags I make. Thanks for the tutorial. These are beautiful! What a really cool craft. This is such a unique idea. These look so cool. Very cool idea. I have to try this. Terrific! Loads of help.....Can't wait to get started. Thank you for sharing this. I would like to try it. Do you sell these? Very clever. Love it! Blessings. THis is a new method for me. Beautiful abstract Alcohol Ink necklaces designs! Love the final look! I never knew about alcohol ink-- such a nice result from something so simple! It looks so easy to do. I enjoyed reading this lens. 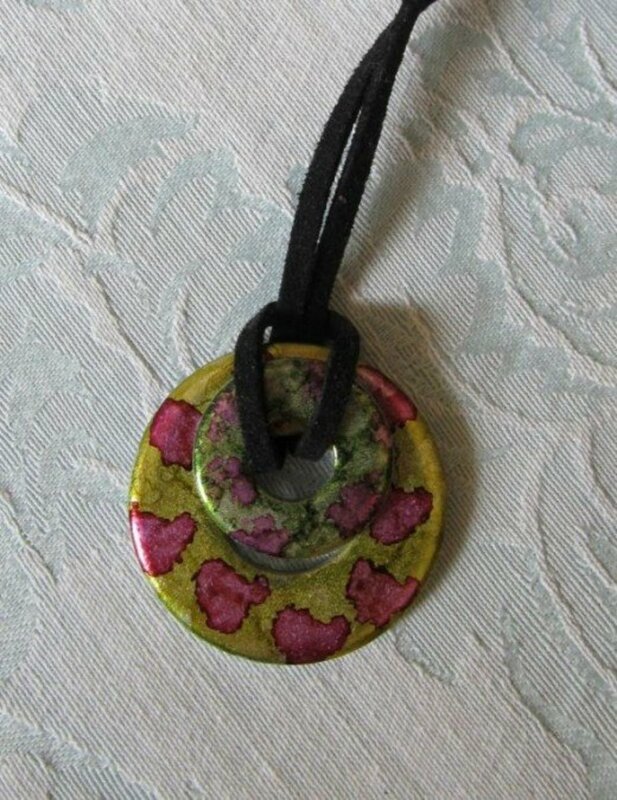 Love it - I have made washer pendants using patterned paper, but have never tried alcohol inks. I've found some very fun art projects that use alcohol inks. I really need to get me some to play with. I make jewelry too and this looks so cool! Wow, that is pretty cool. They would make some great gifts! Thanks for sharing. Amazing on how something so simple can look so lovely. Blessed. Great lens ! Informative. Thanks for sharing. This is great. It's unbelievable that they are just metal washers. I've never heard of it either, but it's a great idea. My young daughter loves making jewellery so I'm going to past this on to her. Many thanks for sharing. Great lens! Yes I like them. Have not heard of it before, but an interesting craft on How to use alcohol ink on metal. Thanks for sharing your knowledge with us. I love the way the colors turn out on metal! I'd never even heard of alcohol ink, and now I must have some. What a cool way to use a washer... you'd never guess the finished product sprang from such humble origins!